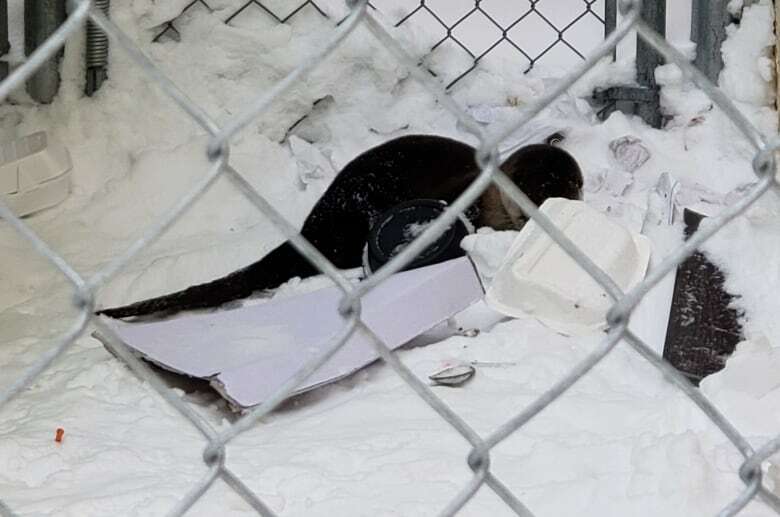 The Winnipeg Humane Society's emergency response team has had some pretty odd calls over the years, but nothing "otter" than one they received Friday afternoon. Bhullar said they talked to the otter and made sure the misplaced mammal didn't leave the safety of the garbage can. "We called him Otty the otter," laughed Bhullar. "Me and Dawn were outside in the freezing cold for two hours with him — obviously we came up with a name." That's when Otty took off running, said Bhullar. "He managed to escape from them and run under a fence, and then he went under another fence and another one after that," she said. 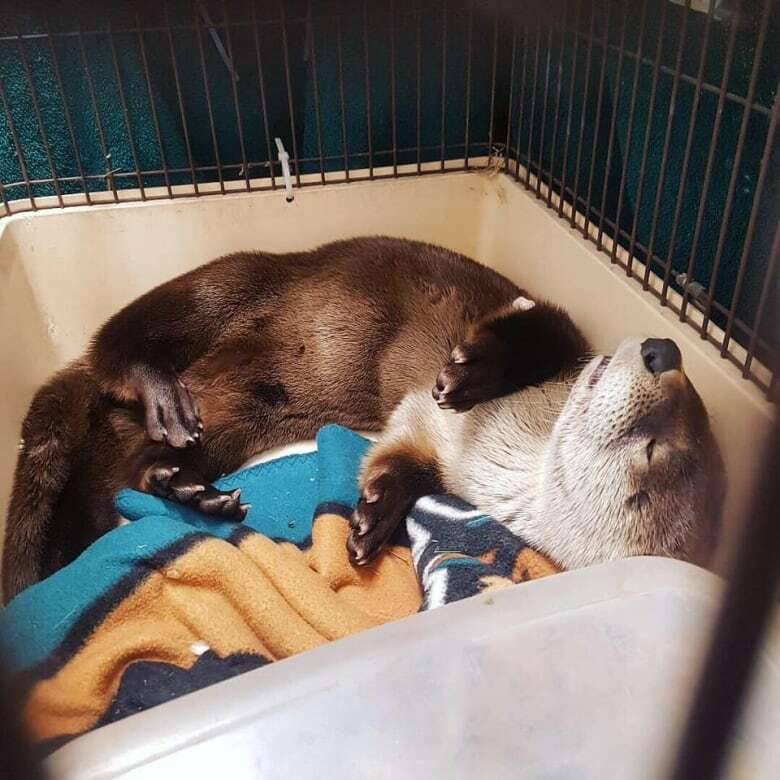 After a further brief chase, crews caught Otty using a net, and put him in their truck bound for the humane society, where Heather Neil, the manager of investigation and emergency response, said Otty spent the afternoon "resting comfortably." "We have him tucked away, we keep the lights dim and kind of keep him away from people so we don't cause him any stress," she told CBC News. "Otherwise, he seems to be OK."
Neil can't say why or how the otter got under the dumpster, but figures Otty had been there for a few days based on reports they had received and the fact the otter had built a pair of small slides in the snow leading to the dumpster — just like the animal does to get down riverbanks in the wild. 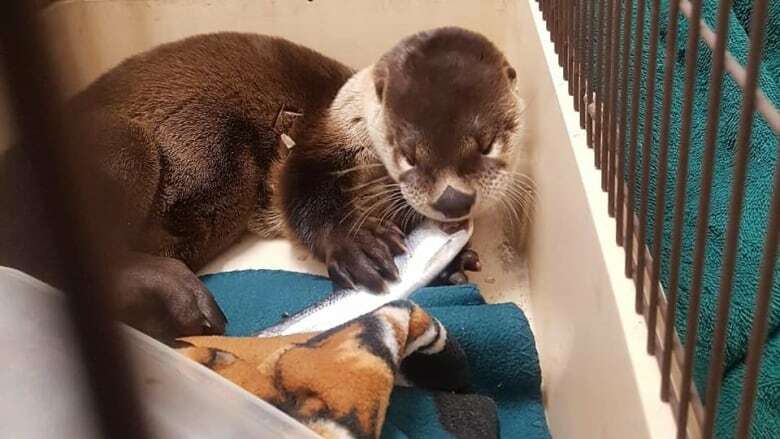 "We don't come across otters, generally, you see them along the riverbanks, and that's where their natural habitat is, but this one was quite a ways away from the river," she said. "I have no explanation about how he got there, but it was not natural habitat for him." 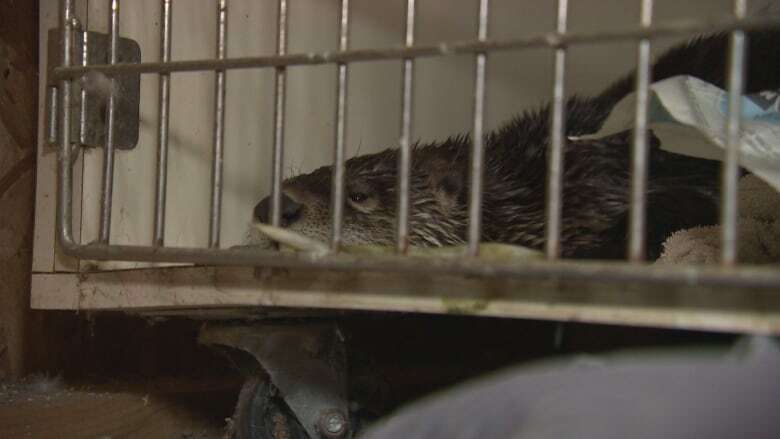 She said it's the first time the humane society had received a call about an otter. "He seemed in fairly good shape, generally speaking," he said. He doesn't know for sure, but Diawol thinks the otter may have come up from the Assiniboine River to start his adventures in downtown Winnipeg. "If they have a den, they'll keep an opening available — kind of like a ice fishing kind of thing — where they'll be able to go into the water," he said. "Who knows? Maybe with the cold weather, that froze over and it was unable to get back into the water so it was just wandering around looking for food." Diawol said it's unusual, but not concerning, to find an otter wandering the streets of Winnipeg. 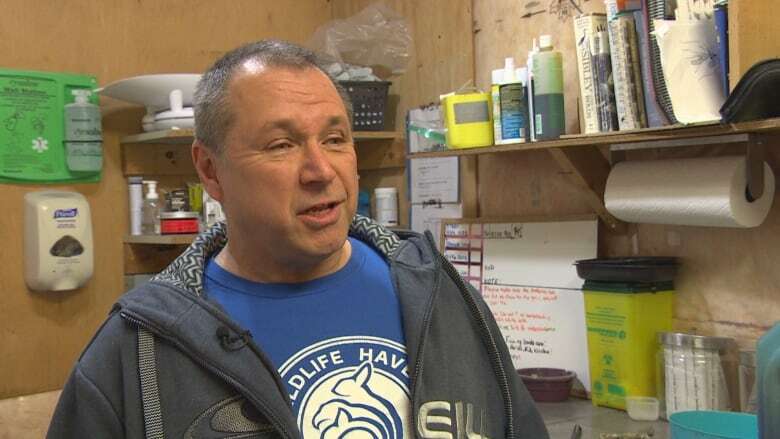 "There's wildlife everywhere in urban areas and in most cases we just simply don't see them," he said, adding the otter-spotters did the right thing to notify the humane society. "In many case, they should be leaving wildlife alone," said Diawol. "It's very natural for them to be out there, but because of the situation [in this case], it's something that we would recommend to come to our care, only because it was in such an unnatural setting."